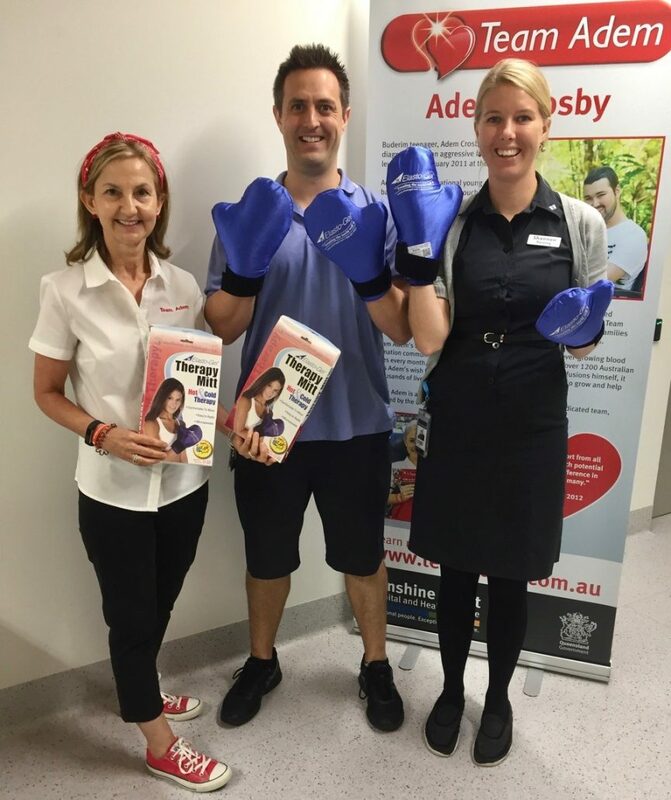 Team Adem was happy to donate two sets of specialised ‘Elasto-Gel Mittens’ to the Adem Crosby Centre recently. 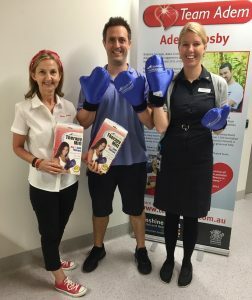 The cold mittens are given to patients to wear while they are receiving certain kinds of chemotherapy. Research has shown that wearing frozen gel filled mittens during chemotheropy can reduce the effects of peripheral neuropathy. Pictured with Lu are nurses Shannon and Matt . These cold mittens will be stored in the freezer that Team Adem donated to the Adem Crosby Centre in June this year.